Wilson’s lawsuit was filed this past March. Her animated short featured an “average Joe” snowman who must battle to save his carrot nose. Not the plot of Frozen, but as the lawsuit pointed out, the Frozen trailer wasn’t very representative of the full-length film either. Disney attempted to stop the lawsuit by referencing an appeals court’s ruling in Funky Films, brought by the writer of a screenplay called “The Funk Parlor” who alleged being infringed by HBO’s Six Feet Under. In that case, both works began with the same premise of a family-run funeral home confronting the unexpected death of the father. The works then diverged, leading an appeals court to conclude they weren’t substantially similar. The judge overseeing the Frozen lawsuit uses Disney’s case law citation to amusedly re-imagine Six Feet Under. That would be closer to “The Funk Parlor,” and even if differences remain, the judge says it would be similar enough to “let it go” to jury. The judge notes some difference between The Snowman and the Frozen trailer like one’s goofy while the other is somewhat dour. But that’s outweighed by what can reasonably be seen as the same — at least at this stage of the litigation. Given the judge’s impression, if this case doesn’t settle, it seems primed to go to trial. 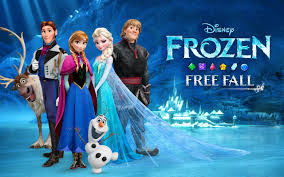 Fortunately for Disney, some of their liability could be contained by the judge’s dismissal of a claim that the full Frozen movie, which grossed $1.27 billion at the worldwide box office, infringed Wilson’s work. Nevertheless, it’s a big step forward for Wilson and her attorneys J. Paul Gignac and Mischa Barteau in a realm of copyright law that’s traditionally been very unfriendly for plaintiffs.